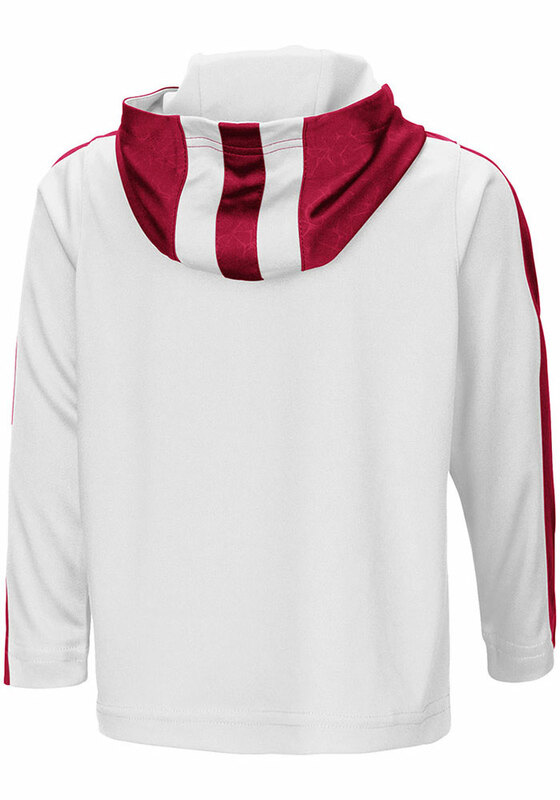 Deck your little one out in stylish team colors with this Oklahoma Sooners 1/4 Zip. 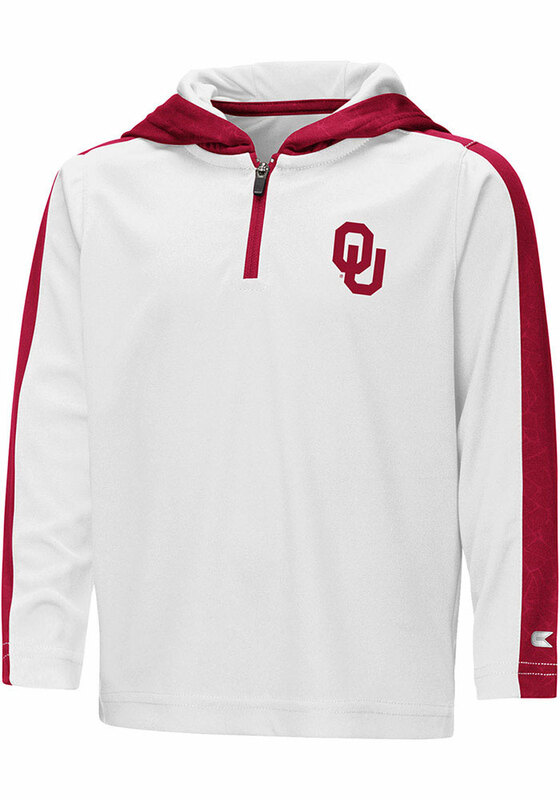 They'll love showing their Sooners spirit with this Toddler White Helisking Long Sleeve 1/4 Zip. Featuring a rubberized print team graphic on left chest, this 1/4 Zip is sure to make any future fan stand out.